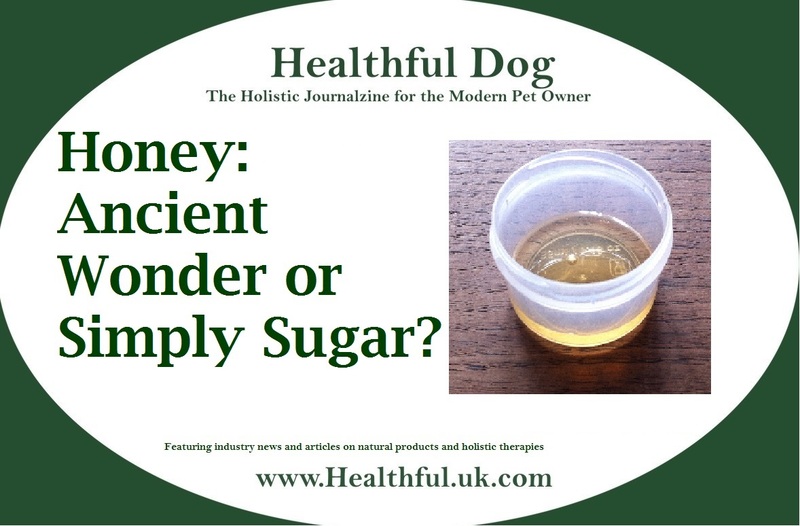 Honey: ancient wonder or simply sugar? The use of honey has been traced back to Sumeria and even the ancient Egyptians, who used it for many things including as a wound dressing, it is now scientifically proven to aid the healing process and used by many vets in the form of Manuka Honey, it has been shown to have a shelf life of at least 3,000 years. Honey is anti-microbial, anti-bacterial, anti-viral, anti-fungal, is an anti-oxidant and anti-inflammatory. In tests it has been shown to be more effective than pharmaceuticals as an anti-tissuant (to prevent coughing) and as an anti-histamine (to prevent allergic reactions). In fact nothing can grow in pure honey, but how does it compare to sugar? They are both a combination of glucose and fructose, which in sugar is bound together to form sucrose, however in honey glucose and fructose remain separate. Honey also contains around 25 oligosaccharides, important for cell-to-cell recognition and can increase the number of beneficial bacteria in the colon while simultaneously reducing the population of harmful bacteria (Macfarlane and Macfarlane, 2008), as 80% of the immune system is dealt with by the digestive tract, honey therefore boosts immunity. Sugar, a disaccharide is not broken down in the body until it reaches the small intestine, where the enzyme sucrase employs hydrolysis to break it down back into glucose and fructose so that it can enter the blood stream and be utilised as energy. Honey, having glucose and fructose already separate as simple sugars (monosaccarides) rather than being a disaccharide can be directly absorbed by the body, therefore it’s digestion takes a great deal less effort and is less taxing on the digestive tract. An ounce of honey has up to 24 less calories than the equivalent weight in sugar and its’ reduction in the glycemic index has been implicated in a reduced risk of heart disease and type II diabetes. Macfarlane GT, Steed H. and Macfarlane S. (2008). “Bacterial metabolism and health-related effects of galacto-oligosaccharides and other prebiotics”. J. Appl. Microbiol. 104 (2): 305–344. doi:10.1111/j.1365-2672.2007.03520.x. PMID 18215222. ← Co-sleeping with pets: Yes or No?